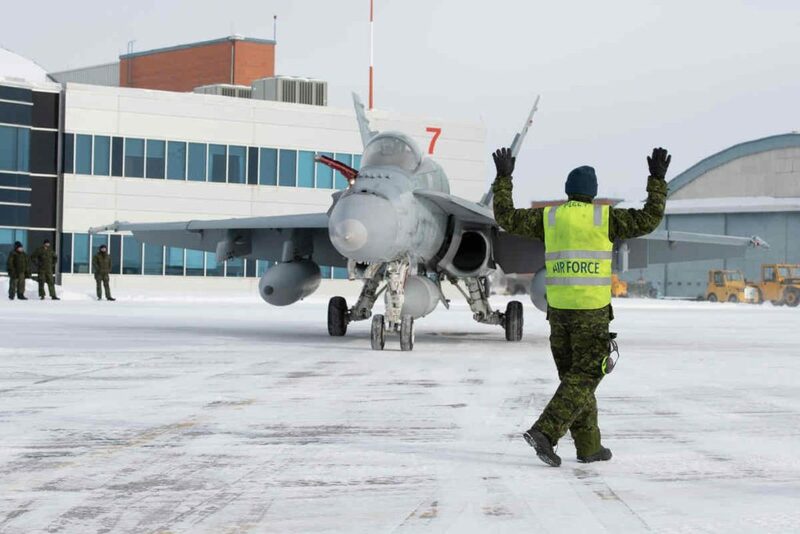 The Royal Canadian Air Force (RCAF) took delivery of two interim fighter aircraft, Australian F/A-18A Hornets, at 4 Wing Cold Lake, Alberta, as part of an interim measure until a new fighter fleet is secured and delivered. The formal request for proposals for Canada’s future fighter fleet is expected to be released in spring 2019, with a contract awarded in 2021/22 and deliveries beginning in 2025. The Canadian government released a draft RFP for its future fighter program in October 2018 inviting Boeing, Dassault, Eurofighter Jagdflugzeug GmbH, Lockheed and Saab to participate in the process. In conjunction with launching the competition to acquire this new fleet of 88 fighter jets, to replace its aging CF-18 Hornets, Canada initially planned to buy 18 new Boeing Super Hornets, but scrapped that plan in late 2017 in favour of 18 Australian F-18 Hornets. The interim purchase of Australian fighter jets is part of Canada’s defence policy, Strong, Secure Engaged, to ensure the country has mission-ready aircraft to meet domestic and international obligations in advance of the new fleet’s arrival. The government states it is procuring 18 fighter aircraft and parts from the Government of Australia to rapidly increase availability of the CF-18 fleet. These aircraft are the same type as Canada’s current CF-18 fleet and the needed modifications and technical work will be done by Canadian companies. Deliveries of Australia’s F-18 aircraft will continue at regular intervals for the next three years, explains the RCAF, and the aircraft will be integrated into the CF-18 fleet as modifications are complete. The final aircraft are expected to arrive by the end of 2021. The first two aircraft are the F/A-18A model, which means they are single-seat aircraft. They were flown to Cold Lake, Alberta, from Nellis, Nevada, where they were participating in Exercise Red Flag, and will be employed at 3 Wing Bagotville and 4 Wing Cold Lake. CF-18 pilot dies in crash near Cold Lake, Alta. Cold Lake a possible F-35 weapons training centre?